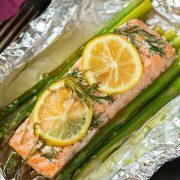 What’s not to love about dinners in foil right? Easy to make, easy clean up, and they taste delicious! 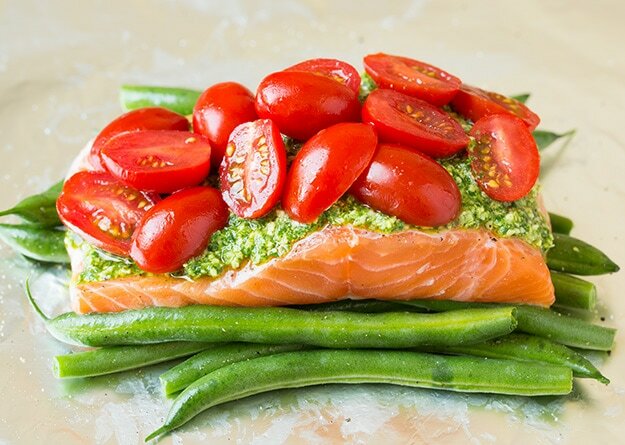 This Pesto Salmon with Italian Veggies is no exception! It’s full of flavor and you end with perfectly baked salmon. 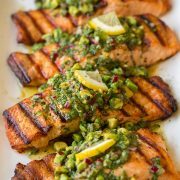 I had actually never added pesto to my salmon until this recipe and I absolutely loved it and will combine the two again and again! 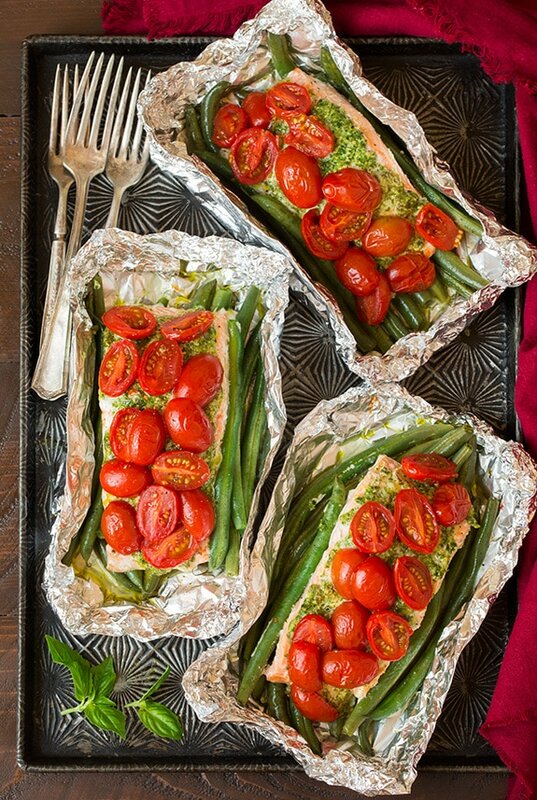 The other way I want to try this next time is with asparagus in place of the green beans which I think I’ll like even more, it’s just that I already did a salmon and foil recipe with asparagus so I wanted to switch things up and use something different. Not everyone loves asparagus as much as I do. 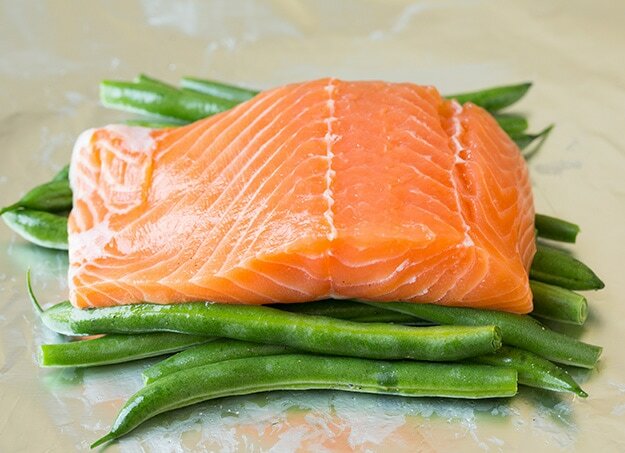 The green beans are delicious but the one draw back is that unless you want them pretty crisp tender then you need to parboil them first so they will be done the same time as the salmon (the asparagus doesn’t need to be partially cooked first). Also, for the record I blanched my basil just to keep it nice and green for photos but over the years I’ve decided I don’t like blanched basil for pesto because the flavor is not as robust, plus I have to up the amount of basil to come close to the same intensity of flavor as the non-blanched. The easiest route here would be store-bought basil but during the summer when theres plenty of fresh basil around I definitely recommend going with homemade. Easy pesto salmon with Italian veggies that the whole family will love. Packed with flavor and nutritious ingredients. Preheat oven to 400 degrees. Bring a pot of water to a boil. 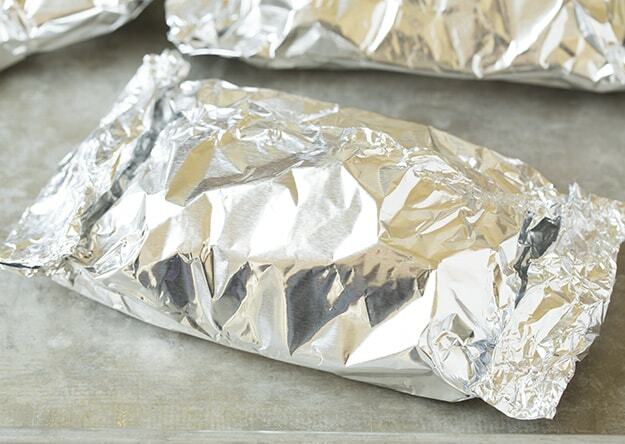 Cut four pieces of aluminum foil into 14-inch lengths. Boil green beans 3 minutes, then carefully drain (asparagus doesn't need to be boiled before baking). 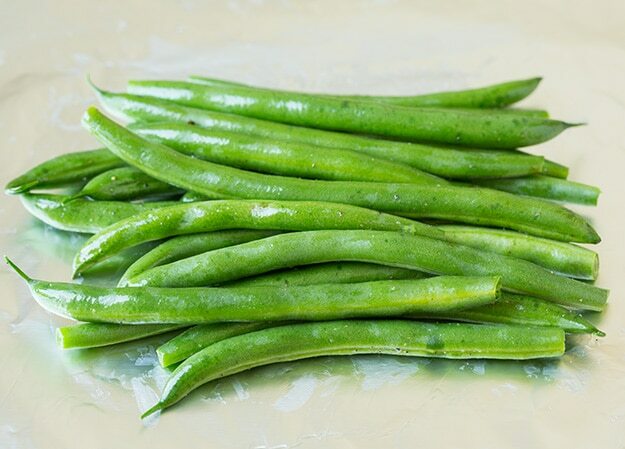 Toss green beans (or asparagus) with 2 tsp olive oil and season with salt and pepper to taste, divide into 4 servings and layer in center of each piece of foil. Season both sides of salmon with salt and pepper. 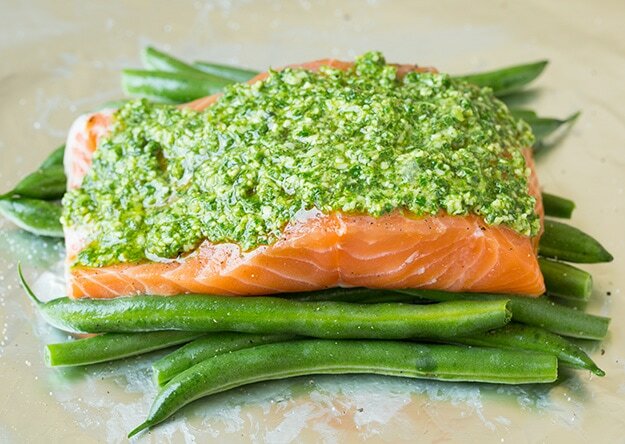 Layer salmon over green beans and then spread 1 Tbsp pesto over top. Drizzle 1 tsp lemon juice over each fillet. Toss tomatoes with remaining 1 tsp olive oil and season lightly with salt. Spread over each salmon fillet. Wrap sides of foil in and roll and crimp edge to seal, then wrap ends upward to seal (don't wrap too tightly you want the heat to be able to circulate well). 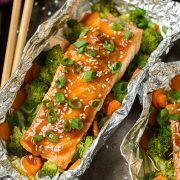 Place side by side on a baking sheet and bake in preheated oven until salmon has cooked through, about 20 - 28 minutes (cook time will vary depending on thickness of salmon and desired degree of doneness).